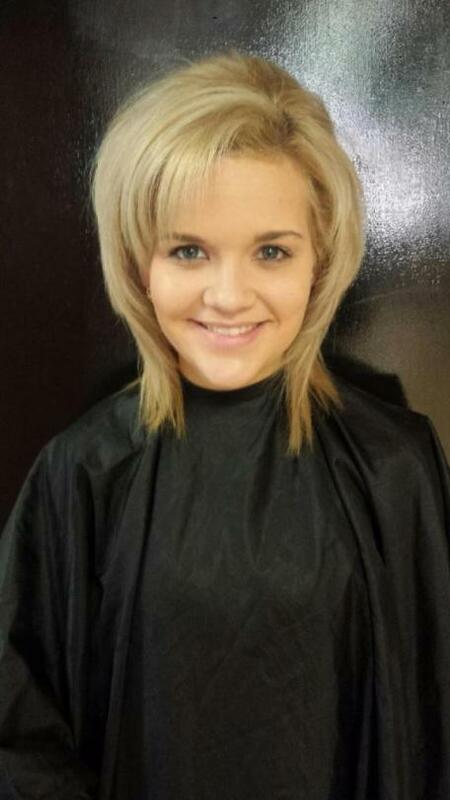 Looking to add a little volume to your style? Do you have a hard time keeping that volume throughout the day? 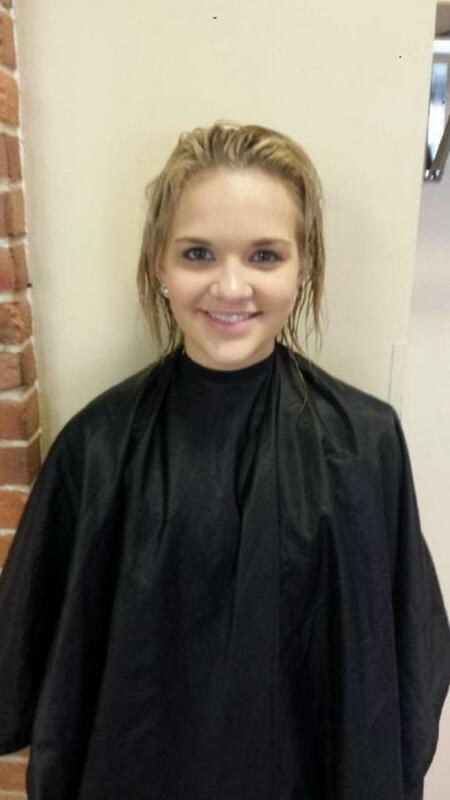 Well using the right professional products is always key to getting AND keeping that “just left the salon” look. 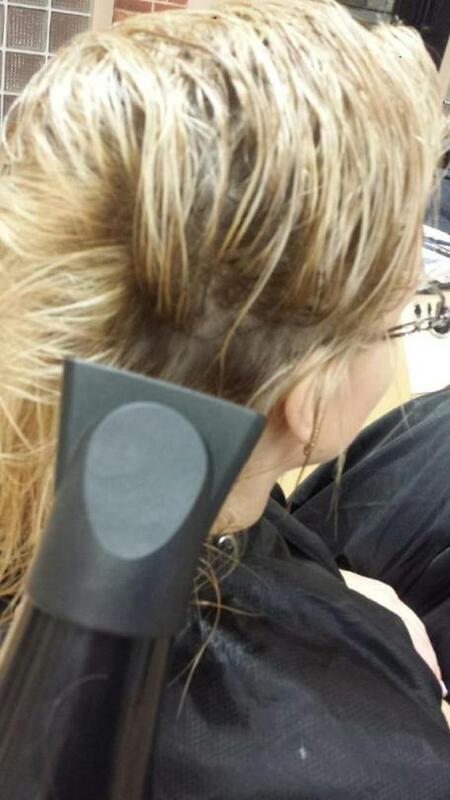 Today’s TuesTorial comes from Cosmetology students at La’ James International College in Iowa City. Step 1: After shampooing, apply RUSK Blofoam focusing the product in the root area. Step 2: Next, apply Sebastian Thickefy Foam from mid-strand to the ends. Then begin blowdrying the hair in the opposite direction. Step 3: Once 70% of the moisture is removed, start to round brush. 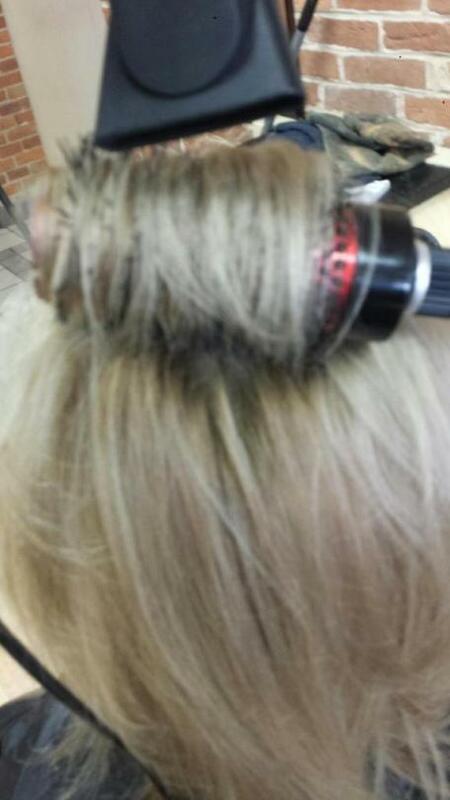 Let the round brush cool the hair. Step 4: Once the hair has cooled, use a thermal spray then flat iron the ends. For additional volume, flat iron the hair starting at the scalp. Finish with a hairspray to help keep the hair volumized throughout the day. Visit one of the eight La’ James International College locations to pick up your favorite professional products today. Interested in learning more about upcoming LJIC & upcoming classes? Call 888.880.2108 or visit www.LJIC.edu. 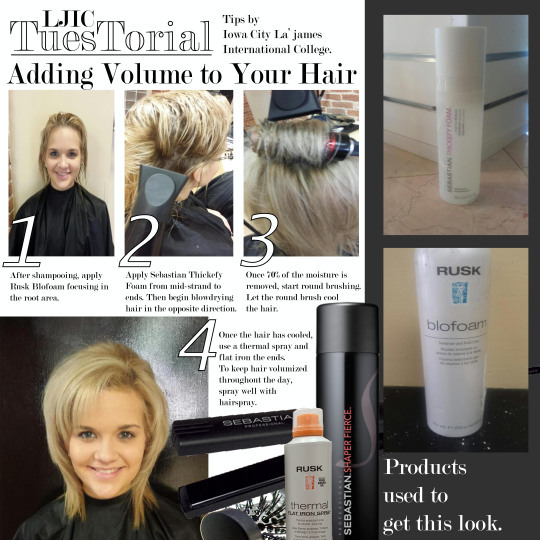 Become a part of the LJIC family today!